Geoffrey Rush has rarely left home in the three months after the articles and "has been virtually housebound ," his lawyer said. 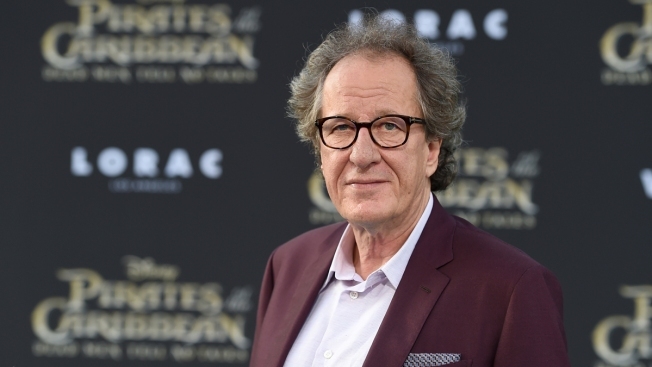 Oscar-winning actor Geoffrey Rush has become virtually housebound, barely eats and wakes each morning with a "terrible sense of dread" since a Sydney newspaper alleged inappropriate behavior toward an actress, his lawyer swore in an affidavit. Lawyer Nicholas Pullen's affidavit submitted to the Australian Federal Court in Sydney on Monday said the 66-year-old Australian actor had suffered "tremendous emotional and social hardship" since The Daily Telegraph accused him in December of inappropriate behavior toward actress Eryn Jean Norvill during the Sydney Theatre Company's production of "King Lear" in 2015. Rush has denied the allegation. He is suing the newspaper over the articles, which he says portray him as a pervert and sexual predator. Details of the alleged behavior remain vague. He rarely left home in the three months after the articles and "has been virtually housebound," his lawyer said. Rush "has lost his appetite and barely eats" and "wakes up every morning with a terrible sense of dread about his future career," Pullen added. Rush has performed in the Sydney Theatre Company for 35 years. He won the 1997 best actor Academy Award for "Shine" and has three other Oscar nominations. He is perhaps best known as Captain Barbossa in the "Pirates of the Caribbean" films.